High-profile apps are on the way for Apple's wearable. In just a few days we'll know all there is to know about the Apple Watch when CEO Tim Cook and his fellow executives take to the stage at the Yerba Buena Centre in San Francisco to talk us through their latest bit of kit. It's been in the pipeline for quite some time, and Bloomberg has details of a 'secret lab' where app developers from privileged partners - including Facebook and BMW - were allowed to work on software to run on the smartwatch. These apps are likely to be showcased on Monday. As you would expect from Apple, security around this lab was pretty tight: all forms of communication were banned, and even bringing in a pad of paper was off limits (presumably to stop people sketching out screenshots of the unreleased apps). Source code for the apps was brought in using computer hard drives, as internet access was banned, Bloomberg's anonymous sources say. It seems Apple was very keen not to let anyone get a glimpse of what's coming ahead of time. 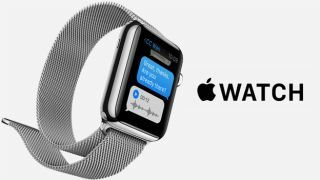 Way back in September when Apple first showed off the wearable, it demoed a number of apps from the likes of American Airlines, Starwood Hotels, BMW, Citymapper, Pinterest, Nike and Twitter, so we can expect a strong app line-up right out of the gate. We'll be bringing you all the announcements as they happen on Monday, when all of our remaining questions should be answered.